Opened January 2nd 1936, the hospital could accommodate as many as nine patients. The Cariboo Gold Quartz Company funded it. It had an operating room, nursery, emergency ward and accommodations for the nursing staff and janitor. The first physician was Dr Sutherland, and the first head nurse was Mrs Briggs. In the 1930's the hospital had two doctors, one which was permanently on staff. If you were an employee of the Cariboo Gold Quartz you received free medical care and your family received medical care at reduced rates. A member of the community who was not a miner was not necessarily entitled to the services it provided. However, the hospital would likely not turn away anyone who was in dire need of treatment. 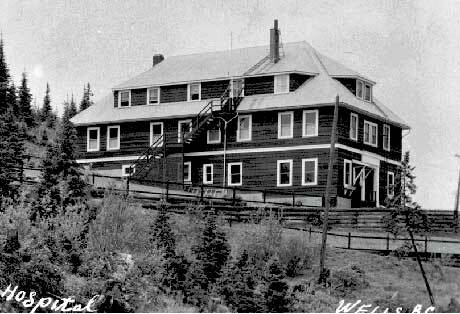 The hospital closed when the Cariboo Gold Quartz Company ceased operations in 1967, and is now privately owned and rented out as apartments.